Somewhere Over the Rainbow shouts from the rooftops. 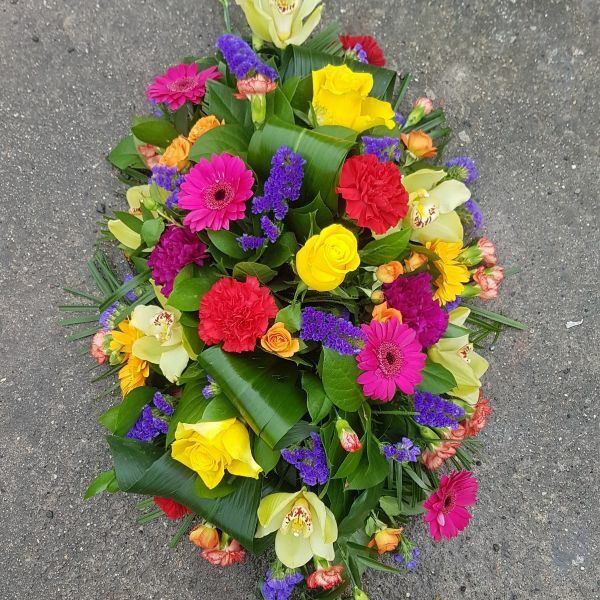 A colourful and vivid display of spray and bloom roses, exotic cymbidium orchids, statice, gerbera and rolled aspidistra leaves. A truly delightful way to celebrate the life of a loved one.